Catarina Carvalho, Travis Clausen-Knight, Alvaro Dule, Michael-John Harper, Louis McMiller, Daniela Neugebauer, Anna Nowak, James Pett, Fukiko Takase, Po-Lin Tung, Jessica Wright. Atomos grows out of the smallest unit of matter. Bodies, movement, film, sound and light are atomised into miniature shards of intense sensation. Ten incredible dancers perform the unique style of Wayne McGregor – sculptural, rigorous, jarring and hauntingly beautiful. He is accompanied by a team of sensational artists including longtime collaborators lighting designer Lucy Carter and filmmaker Ravi Deepres and a soaring score by neo-classical ambient composers A Winged Victory For The Sullen. XO collaborated with Studio Wayne McGregor to create the costumes for Atomos. 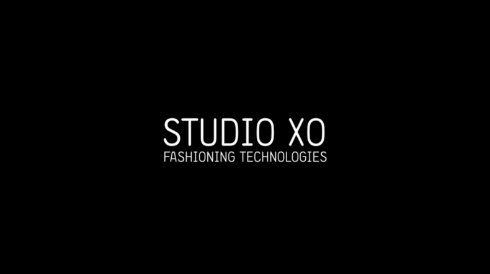 By using their XOX emotional wearable technology, they mapped the dancers biometrics and designed digital skins inspired by each dancers emotional algorithms. Costumes in the 3D film by Moritz Junge, originally designed for the production UnDance. Watch an interview with McGregor on the creation of Atomos by Judith Mackrell of The Guardian here. Read reviews of Atomos in The Observer and The Guardian. Atomos is co-produced by Sadler's Wells, London, UK; Peak Performances @ Montclair State University, New Jersey, USA; Movimentos Festwochen der Autostadt in Wolfsburg, Germany; Festival Montpellier Danse 2014. Atomos is co-commissioned by Fondazione I Teatri, Reggio Emilia, Italy; Trinity Laban Conservatoire of Music and Dance, London, UK. Written by Dustin O’Halloran and Adam Wiltzie. Performed by A Winged Victory For The Sullen. Published by Embassy Music Corporation o/b/o Dustin O’Halloran Music and Lidmusic (BMI). Images and trailer by Ravi Deepres. 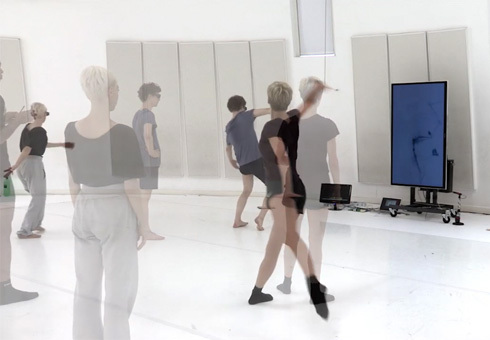 Rehearsal footage of Wayne McGregor and company dancers in the creation of Atomos, courtesy of Wellcome Collection.